Posts about books including Top 10s, reviews and recommendations. Who can join in: Everyone! But the challenge is targeted at writers who are currently writing a book or are looking to promote a book they’ve just finished. Or, y’know, writers who just want to have fun and chat about their WIP. Good to know: If you use the #AcresofInk hashtag on Twitter, I will do my best to read, comment on and retweet your posts. Want to join in? Of course you do! 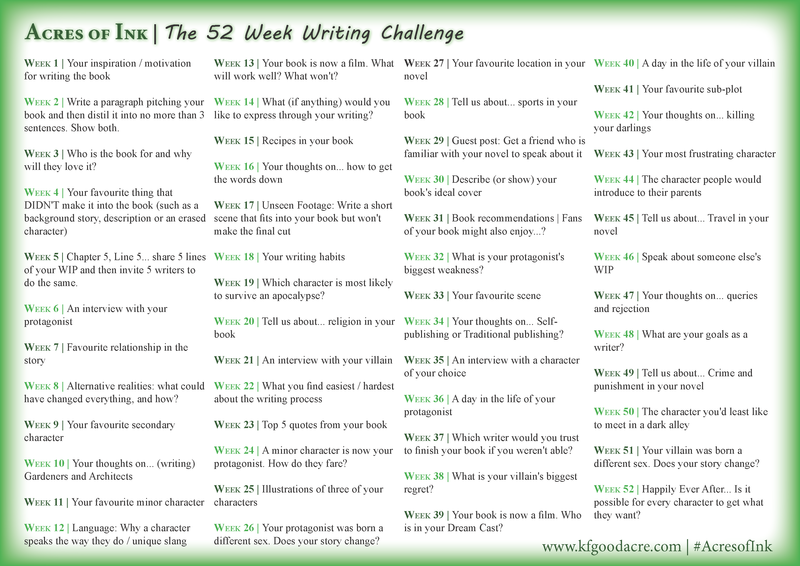 Or, for those who prefer something easier, click the ‘Read More’ to copy and paste a text version of the Writing Challenge.